Tiberius Claudius Marinus Pacatianus was a usurper in the Danube area of the Roman Empire during the time of Philip I Arabs. He is known from coins, and from mentions in Zosimus and Zonaras, who say that he was an officer in one of the Danube legions. According to Zosimus, the revolts of Pacatianus in Moesia and Iotapianus in Syria prompted Philip to offer to the Roman Senate to step down, but the senator Decius who was sent by Philip to deal with the rebellion correctly predicted that Pacatianus would soon be killed by his own men before his own arrival. 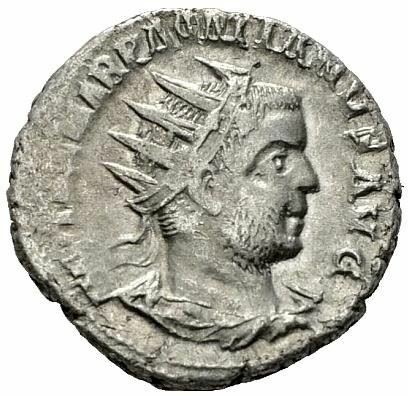 Pacatian is a very obscure character, and his coins are always expensive, often fetching more than 10.000 USD at auctions.